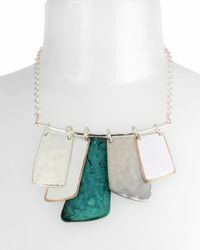 We check over 450 stores daily and we last saw this product for £26 at Bloomingdale's. 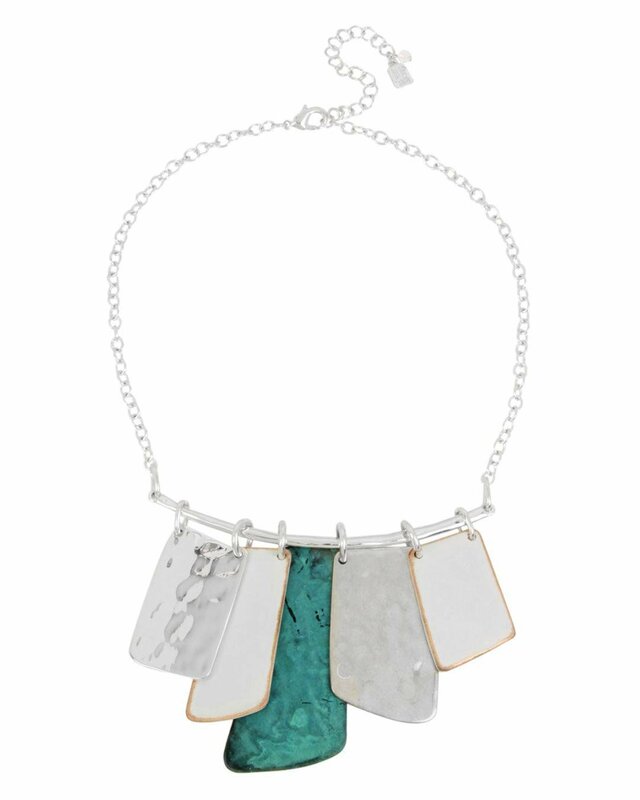 Silver plated white and green patina hammered bib necklace. Lobster clasp. Approx. 16.5" length with 3" extension. Silver plated base metal.